The three biggest monitor panel manufacturers LG, Samsung, and AU Optronics have revealed what they have planned for 2019. 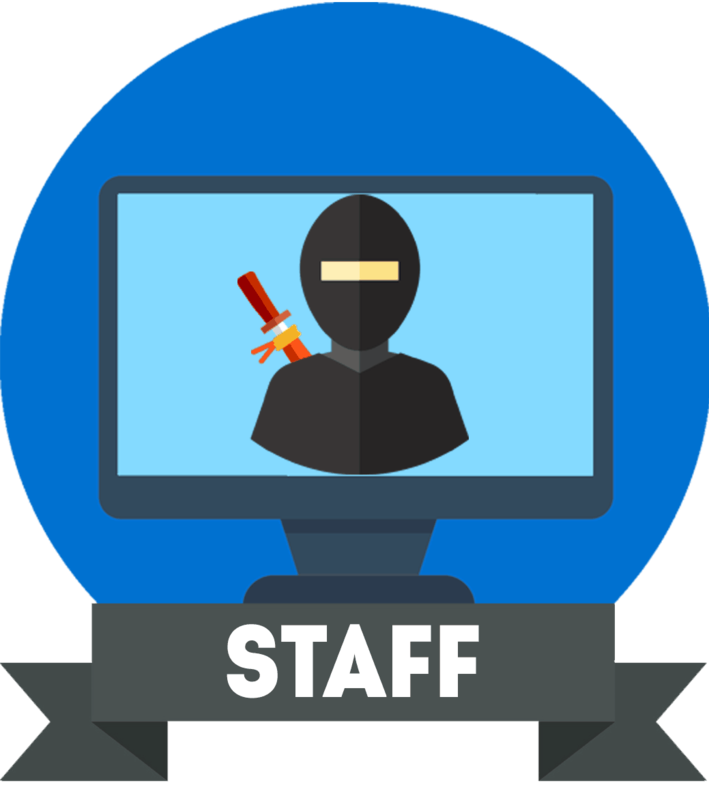 The improvements include bigger panels, higher resolutions, higher refresh rates, faster response times, and many more cool upgrades. Here’s what you can expect from each panel manufacturer. Keep in mind that the dates below imply when the said panel should go into mass production and that these dates may change. April 2019: AOC has announced a new G2 series of gaming monitors which consists of four IPS models including the very first 24″ 1080p 144Hz IPS model to be announced! – Added four monitors from the new Acer ConceptD series: Acer CP3271K (27″ 4K 144Hz model), Acer CP3271U (27″ 1440p 144Hz HDR400), Acer CP7271K (27″ 4K 144Hz G-SYNC Ultimate), Acer CM7321K (32″ 4K mini-LED). 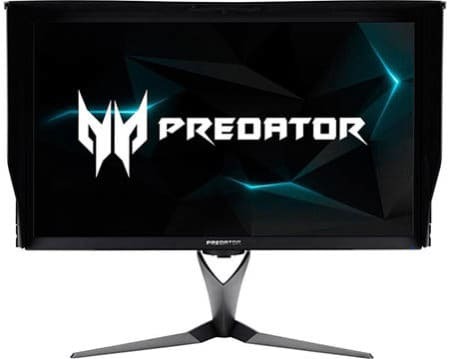 – The Acer Predator CG437K has been announced. It’s dubbed as LFGD (Larger Format Gaming Display), similar to the 65″ BFGDs (Big Format Gaming Display). It won’t have FALD nor G-SYNC as previously speculated though. 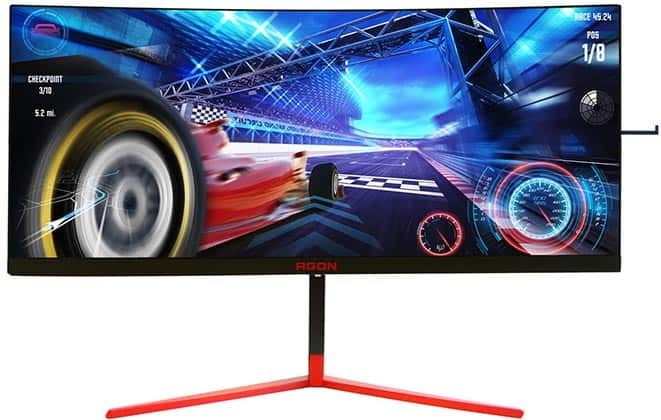 Instead, this 43″ 4K 144Hz gaming monitor offers FreeSync and DisplayHDR 1000 with edge-lit local dimming, so it’s priced significantly lower as well ($1,300 vs $5,000 BFGD). – We finally have more information about the long-awaited 35″ 3440×1440 200Hz G-SYNC HDR ultrawide displays with 512-zone FALD. The AOC AGON AG353UCG should be available in June (or October at the latest) 2019 with an estimated price tag of $2,000 – $2,500. 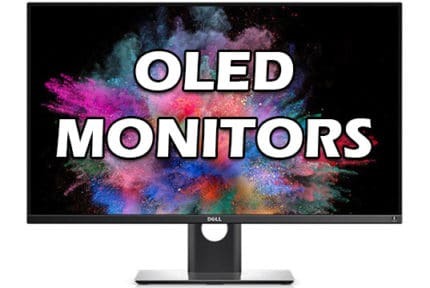 – Changed the release dates to Q2 2019 for the monitors not released in Q1 2019 as scheduled. Hopefully, they won’t get abandoned. Some displays did get released which are now marked as ‘now available‘ in the tables below. February 2019: Fixed a typo: LG 38WK950G -> LG 38GL950G. January 2019: Added the Samsung CRG9, the Samsung UR59C, and the LG 27GL850G. Also added the Lenovo Legion Y27GQ (27″ 1440p 240Hz AUO panel), Lenovo Legion Y44W (43″ 3840×1200 144Hz FreeSync2 HDR VA panel), and the ASUS XG438Q (43″ 4K 120Hz AUO panel). The HP Omen X 65 Emperium BFGD is now available for pre-order on Amazon. December 2018: Added the LG 49WL95 49″ 5120×1440 display and the LG 38GL950G 3840×1600 144Hz G-SYNC gaming monitor (LG IPS models). November 2018: Updated the article. Some release dates have been pushed back, some of them due to certain panel changes. Also, new panels have been announced. The most interesting new panels include the 27″ 1440p 165Hz 1ms (GtG) IPS and 1080p 240Hz 1ms (GtG) IPS models by LG as well as the 25″ and 27″ 144Hz/240Hz IPS models by AUO. October 2018: Added the Dell U49149W (LG IPS panel). For news regarding OLED monitors, check out our dedicated article about OLED panels. Samsung is primarily focusing on their big ultra-wide VA panel displays. In Q3 2018, Samsung revealed 49-inch 5120×1440 ultra-wide curved panels – the Samsung 499P9H with 60Hz and the Samsung CRG9 with 120Hz, HDR (with 1000-nits), and FreeSync 2. At the same time, they announced a 43-inch curved VA model with a 3840×1200 resolution and a 120Hz refresh rate dubbed as the Samsung C43J89. In addition, Samsung plans to improve their popular 34-inch 3440×1440 100Hz VA gaming monitors by kicking them up a notch to 144Hz. Lastly, Samsung is working on 31.5-inch curved VA panels with a 3,000:1 static contrast ratio and 4K resolution. There will be 60Hz and 120Hz models. AUO makes panels for the high-end gaming monitors including the state-of-the-art 4K 144Hz G-SYNC HDR models as well as the fastest 240Hz gaming monitors. They also make professional-grade displays for color-critical work. Already in mass production are 27-inch and 32-inch IPS monitors with 4K resolution, 60Hz, and 8-bit + FRC color depth support with 99% Adobe RGB color gamut. AU Optronics wants to improve their current 99% Adobe RGB and 90% DCI-P3 panels to cover 99% DCI-P3 color space by 2019, and 90% Rec2020 by 2020. Scheduled for Q1 2019 is an updated version of the 32-inch model mentioned above with a wider 90% DCI-P3 color gamut and VESA HDR 600-certified HDR support. Furthermore, AUO plans on improving the picture quality of their displays by replacing the imperfect full-array local dimming (FALD) system with the impeccable mini-LED technology which would allow for more backlight-controlling zones. In fact, their first display with mini-LED backlight, the ASUS ProArt PA32UCX, is a 32-inch IPS display with 4K resolution, a 1,200-nit peak brightness for HDR content, USB-C (Thunderbolt 3 with 40 Gbps), and true 10-bit color support with 97% DCI-P3 and 89% Rec 2020 color gamut. The monitor will be available in both 60Hz and 144Hz (likely 8-bit + FRC) variants. This model should have over 1,000 dedicated backlight zones for a far superior performance than full-array local dimming. The mass production is scheduled for Q1 2019 though it will likely be postponed due to the mini-LED technology development. In addition, there’ll be a cheaper 27″ 4K UHD alternative with less than 1,000 backlight zones which is still more effective than 384-zone FALD. This model is expected in Q2 2019. Note that the mini-LED technology shouldn’t be confused with Samsung’s micro-LED technology. In short, miniLED panels are improved versions of LED-backlight displays with higher contrast ratio and faster response time speeds, whereas microLED is similar to OLED as it produces its own light but it’s also brighter and more stable. In addition to the already available 1080p 240Hz gaming monitors, AUO plans to introduce 27-inch 1440p 240Hz models based on a TN panel with 0.5ms response time, 400-nit peak brightness, and 90% DCI-P3 color gamut sometime in future. What’s more, AUO plans to increase the response time speed of their TN panels from 5ms to 3ms – that’s before overdrive is applied. Ultimately, this amounts to a 0.5ms response time speed as opposed to the standard 1ms for TN panels. New 24.5-inch and 27-inch 1080p 240Hz models will also be available with the faster 0.5ms response time speed as well while the rest of the specs will remain the same such as the 400-nit peak brightness and the sRGB color gamut. Besides the long-awaited 4K 144Hz gaming monitors with G-SYNC HDR and FALD, gamers will now be able to opt for the non-FALD models which should be significantly cheaper. These 4K 144Hz HDR displays with 400-nit brightness and 90% DCI-P3 color range are to go into mass production in Q4 2018. Though there was some speculation about 32″ models of the already-available 27″ 4K 144Hz G-SYNC HDR FALD monitors, there’s still no official confirmation about this. Moving on, AUO also has a 27″ 1440p 165Hz IPS panel in the works. Probably the most exciting news is that there will finally be 144Hz 1080p and 240Hz 1080p models with an IPS panel. So far, 1080p 144Hz is only available on TN and VA panels while 240Hz is only available on TN panels. There will be 1080p 144Hz IPS displays with the sRGB color gamut as well as 1080p 240Hz IPS models with a wider 90% DCI-P3 color space. Both variants will be available in 24.5″ and 27″ sizes. The already known Acer X35 and ASUS PG35VQ 3440×1440 200Hz G-SYNC HDR gaming monitors with 512-zone FALD backlighting should (hopefully) start with mass production in Q4 2018. AUO also plans to introduce a new 43-inch VA panel display with 4K resolution, DisplayHDR 600, FreeSync 2, and 90% DCI-P3 color gamut. It should be available as a 60Hz and as a 120Hz model. In addition, AUO announced the BFGD (Big Format Gaming Displays) 65-inch VA displays with 4K, 144Hz, HDR, 95% DCI-P3, 700-nit peak brightness (1,000-nit for HDR), and 384-zone FALD. There will also be 43″ LFGD (Larger Format Gaming Displays) models with similar specs, available in HDR600 and HDR1000 variants. The Acer Predator CG437K is the first LFGD to be announced. It will offer 4K 144Hz, AMD FreeSync, and HDR (DisplayHDR 1000) with edge-lit local dimming, not FALD. The release date is expected in September 2019 with a $1,300 price tag. Lastly, AUO also plans 1080p 200Hz VA panels in both 27″ and 32″ screen sizes. Update: The first 34″ 3440×1440 200Hz G-SYNC HDR ultrawide monitor we got more information about is actually AOC’s AGON AG353UCG. This ultrawide gaming monitor is based on a curved VA panel with a 512-zone full-array local dimming solution that allows it to reach stellar 1,000-nits of luminance while its quantum dot film provides 100% DCI-P3 color gamut for an impeccable HDR viewing experience. We also found out that you can drive the display at 3440×1440 up to 144Hz with Full Range 4:4:4 10-bit color. For over 144Hz, you will need to use 8-bit color depth or 4:2:2 chroma subsampling. Additionally, the AOC AGON AG353UCG will offer one DisplayPort 1.4 connector, one HDMI 2.0 port, a quad-USB 3.1 hub, two 8W integrated speakers, a microphone jack, a line-in port, and a headphones jack. It also boasts an award-winning (Red Dot Design) height-adjustable and VESA mount compatible design with AOC Light FX RGB lighting. It might also feature a motion blur reduction technology. LG boasts their Nano-IPS technology which covers 98% of the DCI-P3 color gamut and 135% sRGB which is meant to combat Samsung’s rivaling quantum-dot technology with 95% DCI-P3 and 125% sRGB. Additionally, LG plans to improve the response time overdrive in their IPS panels with the goal to bring the standard 5ms (GtG) to 1ms (GtG). Next, they are working on the Crystal Sound Display technology which basically consists of built-in speakers that output sound throughout the entire screen. Audio specs include 200Hz – 20KHz frequency range and 75dB @ 50cm sound pressure. The first monitor with this audio technology should be a 34-inch 1440p ultrawide display scheduled for Q4 2018. Moreover, LG plans to make ‘real borderless’ displays. Unlike the regular “ultra-thin bezel” monitors which may have narrow bezels, but have a black border around the screen, LG wants to completely remove the black edges making the image edge-to-edge. This first display with this design should be available in Q4 2019 though. LG’s LM315WR2 panel will bring users the wide 98% DCI-P3 color gamut, a 1,300:1 static contrast ratio, 450-nit peak brightness (750-nit for HDR), and 4K Ultra HD resolution. A 27-inch model with the same specs will also be available in Q1 2019. In Q3 2018, the LM340RW1 panel will be available in a 34-inch ultra-wide model with 5120×2160 screen resolution, a 600-nit peak brightness, DCI-P3 color gamut, and VESA DisplayHDR 600 certification. LG also plans to release gaming monitors with a faster 1ms (GtG) response time speed including 27″ 1440p 165Hz (Q2 2019), 27″ 1080p 240Hz (Q3 2019), 27″ 4K 144Hz (Q4 2019) models as well as a 37.5-inch 3840×1600 model with a 144Hz refresh rate, VESA DisplayHDR 600, 98% DCI-P3, 1ms GtG response time, and 2300R curvature in Q2 2019. Update: In December 2018, LG announced the LG 38GL950G 37.5″ 3840×1600 144Hz (175Hz OC) G-SYNC curved gaming monitor based on a Nano IPS panel with a peak brightness of 450-nits and 98% DCI-P3 color gamut. There is no mention of its response time speed yet. So far, it looks like the LG 38GL950G won’t feature HDR as NVIDIA has more demanding requirements for G-SYNC HDR. 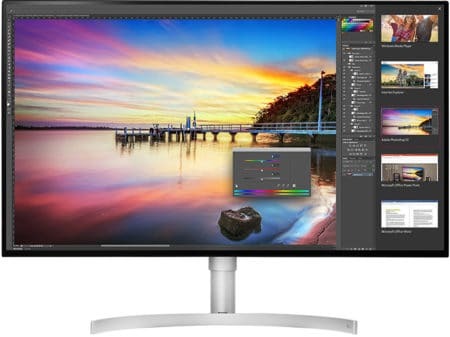 There will likely be a FreeSync model of this monitor which would fit (spec-wise) the previously mentioned 38″ Nano IPS panel with DisplayHDR 600. In January 2019, LG announced a 27″ 1440p 144Hz (160Hz OC) gaming monitor with G-SYNC and a nano IPS panel. It’s unknown whether this is a new addition or if it will, perhaps, replace the previously announced 27″ 1440p 165Hz 1ms panel. In order to rival Samsung’s super ultra-wide models, LG is preparing a 49-inch 5120×1440 32:9 monitor with an IPS panel and a subtle 3800R curvature for mass production in Q3 2018. There should also be a 144Hz model available in Q4 2019. Finally, LG has a 31.5″ 4K IPS monitor in the works which will support VESA DisplayHDR 1000 and a wide BT.2020 color space coverage. Acer ConceptD CP3271K P – 27″ 4K 144Hz gaming monitor. It boasts AMD FreeSync, entry-level DisplayHDR 400 certification, and professional-grade Delta E < 1 factory-calibration with Pantone certification. So, more or less identical to the Acer XV273K. No word on pricing and availability yet. 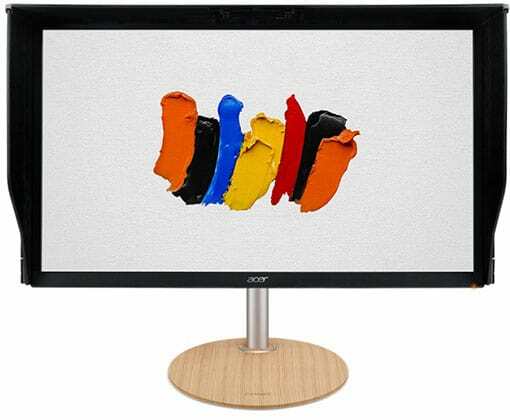 Acer ConceptD CP3271U – 27″ 1440p 144Hz gaming monitor with 90% DCI-P3 color gamut, DisplayHDR 400, and Delta E < 2 Pantone certification. Acer ConceptD CP7271K – 27″ 4K 144Hz gaming monitor with G-SYNC Ultimate and VESA DisplayHDR 1000, just like the Acer X27 and PG27UQ. The release date is scheduled for July with $1,999 MSRP. Acer ConceptD CM7321K – 32″ 4K 60Hz professional display with an 1152-zone mini-LED backlight, DisplayHDR1000, and 99% Adobe RGB and 89.5% Rec2020 color gamut. The release date should be in September with $2,999 MSRP. AOC’s new G2 series consists of four gaming monitors you can check out in the table below. All four displays are based on IPS panels with essentially identical specs; there are two 24″ and two 27″ models, and both variants will be available with 75Hz and 144Hz. The 1ms MPRT specified response time refers to a backlight strobing technology, so the actual gray to gray pixel transition speed is not specified while the 85% NTSC gamut indicates a wider color space coverage than sRGB (~122% sRGB). No word on which panel manufacturer is in question nor when the monitors will be available, but those prices are looking good. The article will be updated as soon as more information is available. That’s it! These are the panels which will be featured in the upcoming monitors; stay tuned as we will be editing this article as soon as something new comes up. 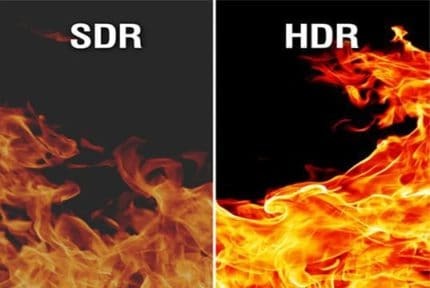 What Is HDR For Monitors And Is It Worth It?